How to get to Machu Picchu by the Lares Trek? There are many trekking routes to Machu Picchu: the Salkantay trek, the Inca Jungle and, above all, the famous Inca Trail. There is also a little known route called the ‘Lares trek’. This route combines walks through high altitude places as well as Quechua villages where you can feel the true spirit of the Andes of Peru. Lares: where is it located? How high is it? What is the weather like in Lares? How to get to Lares? What to see and do in Lares? What is the Lares Trek? What is the itinerary day by day? How to book a tour to Lares Trek? How much does a tour to Lares Trek cost? What does the Lares Trek include? Is it difficult to do the Lares Trek? When is the best time to do the Lares Trek? How to fight altitude sickness in the Lares Trek? 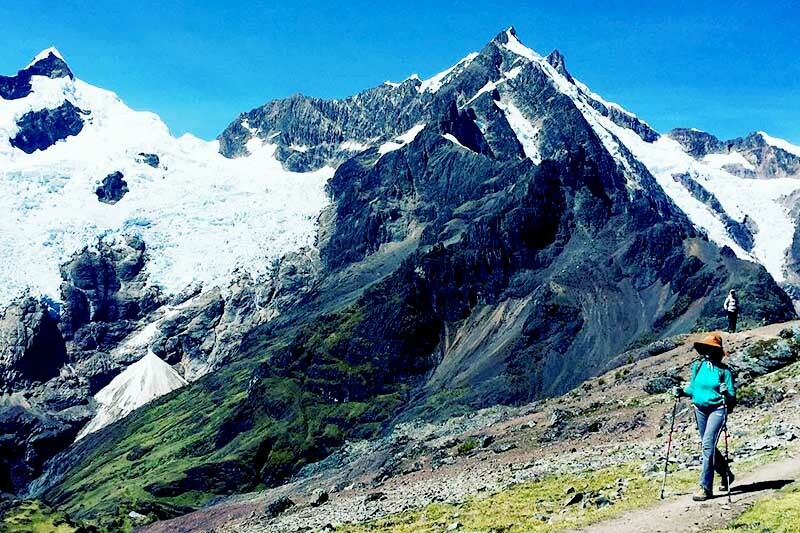 Is it possible to do the Lares Trek on your own? What to take to the Lares Trek? Lares is located in the Cordillera de los Andes, in southern Peru. This district of Cusco belongs to the province of Calca. Lares is located at 3,150 meters above sea level. The climate in Lares is tempered with cold during the nights. The average temperature is 11ºC. During the day, the heat can reach 21ºC. At night, temperatures can reach 1ºC. Lares is separated from the city of Cusco by 149 kilometers of road. From this point, it is reached through a car trip that runs through the villages of Pisac and Calca in the Sacred Valley of the Incas. The hiking route to Machu Picchu. Lares is famous for being the starting point of the so-called Lares Trek, route that leads to Machu Picchu on a road of 4 days and 3 nights. 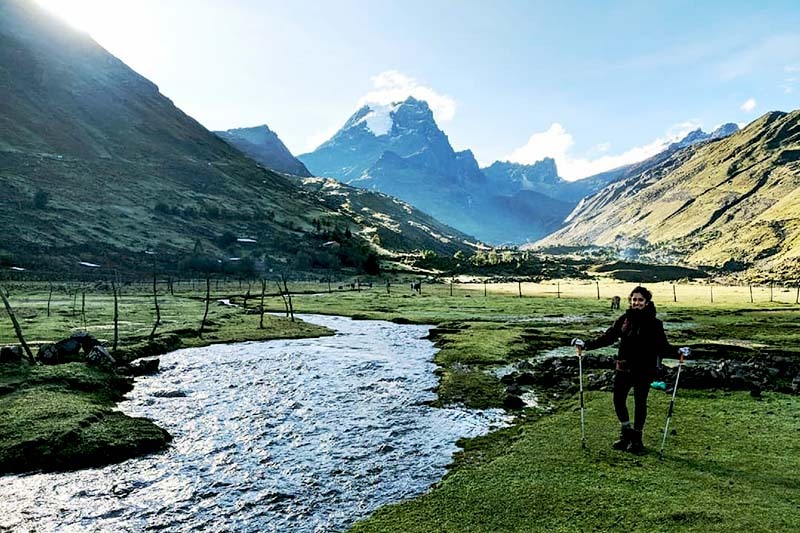 The Lares trek is an alternative road to Machu Picchu for 4 days and 3 nights, which runs through high Andean landscapes inhabited by Quechua peoples. This adventure tour is also known as the Circuit of the Weavers because during its journey you will learn the technique of ancestral yarn in the native towns. The Lares trek runs through beautiful landscapes such as the Mountains Veronica, Sahuasiray, Pitusiray and Chicón. In addition you can see a diversity of camelids (llamas and alpacas) as well as Inca archaeological remains. Transfer by bus from the city of Cusco to Lares. Relaxing visit to thermo-medicinal baths of Lares ..
Start of trekking to the town of Wacahuasi. Walk from Wacahuasi to the lagoon of Ipsaycocha. After a break, restart the trek through Quechua villages to the town of Patacancha. Hike to the traditional village of Willoq. Walk to Ollantaytambo during which you can see the archaeological remains of Wochapata and Pumamarca. Visit to Ollantaytambo, the only town that maintains its Inca urban structure. Travel by train from Ollantaytambo to Aguas Calientes (Machu Picchu town). Travel by bus from Aguas Calientes to Machu Picchu. Guided tour of the Inca City of Machu Picchu. Return by bus and train from Machu Picchu to Cusco. There are up to 3 different routes in the Lares Trek. The best known crosses the town of ‘Patacancha’. In addition there are routes through the towns of ‘Yanahuara’ and ‘Huaran’. The most usual way to hire a tour to Lares Trek is through the internet. However, you can also buy one at a tourism agency located in the Historic Center of Cusco. Unlike the Inca Trail, the Lares Trek does not have to be reserved long in advance. The price of Lares Trek depends on the number of passengers in a shared or private group. * Prices may vary depending on the tourist agency and the quality of the service. Transportation by bus from Cusco to Lares. Transportation by bus from Ollantaytambo to Cusco. Transportation by train from Ollantaytambo to Aguas Calientes (round trip). Tourist guide service throughout the trek. Cook and food during the camps. Lodging in Aguas Calientes on the third day. The Lares Trek has a medium difficulty. In comparison with the Inca Trail or the Salkantay Trek, this route is less arduous. The only difficulty is altitude sickness, due to the trails located in high-altitude geographies. The best time to do the Lares Trek is during the dry season (April to October). In those months, the sky is clearer and there is less chance of rain. Therefore, the roads are in better conditions for walks. Altitude sickness (also known as ‘soroche’) is one of the biggest difficulties during the Lares Trek. The best way to combat this evil is by acclimating to the city of Cusco a few days before the trek. Another option is to drink plenty of water. Coca tea, for example, is a coca-based beverage that effectively combats the discomforts and symptoms of soroche. The Incas, as well as the inhabitants of the Andes to this day, chew coca leaves as a remedy for this and other discomforts. There is no restriction for a visitor to be encouraged to perform the Lares Trek on their own. However, unlike other treks such as the Salkantay Trek or the Choquequirao Trek, the roads are not well marked, so it is difficult to follow the course. To carry out the Lares Trek on your own you must understand the route to follow. For this a good map would be effective. In addition, the inhabitants of this region are mostly Quechua speakers. The tours services that lead to the Lares Trek include the basic implements such as tents, feeding and a packhorse. Warm clothes during the nights. Light clothes during the day. Bath linen (for thermo-medicinal baths of Lares). The Lares Trek is the route that crosses high-altitude landscapes until you reach Machu Picchu. On the route you can see beautiful landscapes and indigenous peoples with ancestral traditions. Get acclimated to the city of Cusco before doing the walk. Thus, the symptoms of altitude sickness will be avoided. It is not necessary to be in optimal physical shape to perform the Lares Trek. However, a little pre-exercise before the walk would be good. Chewing coca leaves during the tour (as the Incas did hundreds of years ago). Another alternative is to take a pill against the soroche before starting the trek. The Lares Trek is a great opportunity to know the way of life of the people who inhabit the Andes. These people offer their products made from alpaca fiber at lower prices than stores in Lima, Cusco or other countries. ← How to visit Piquillacta in the South Valley of Cusco?